Today I have for you a classic approach with a modern, demanding allure.It is well known that I love classic looks/ pieces but sometimes I love adding a "breath fresh of air" to my outfits. What I mean by that is adding my own signature to a look or wearing an unexpected item. Even though these days nothing probably surprise you (in fashion) I like trying different styles in one outfit. 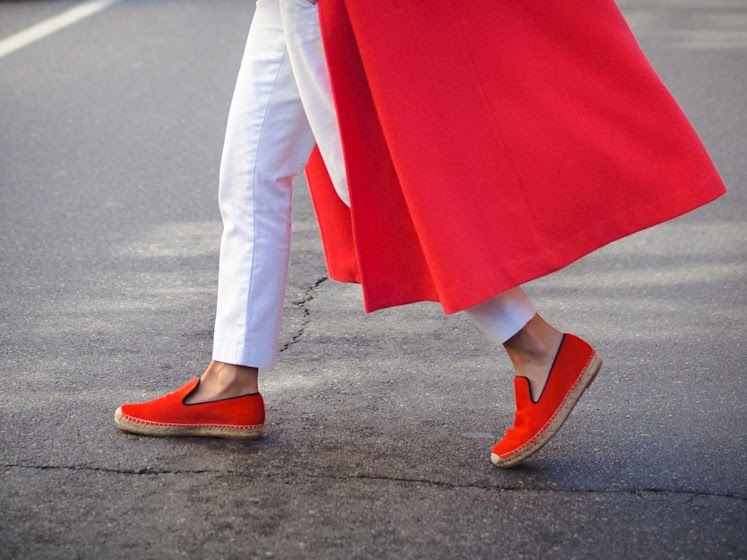 That being said: a long coat and espadrilles is my last experiment and I totally love it. Of course I will try a long coat and heels but I will never say no to a casual take, like this one! In love with your coat Veronica! Such a great coat and bag! I love this color mix- orange and beige! amasing coat! and photos are so beautiful! 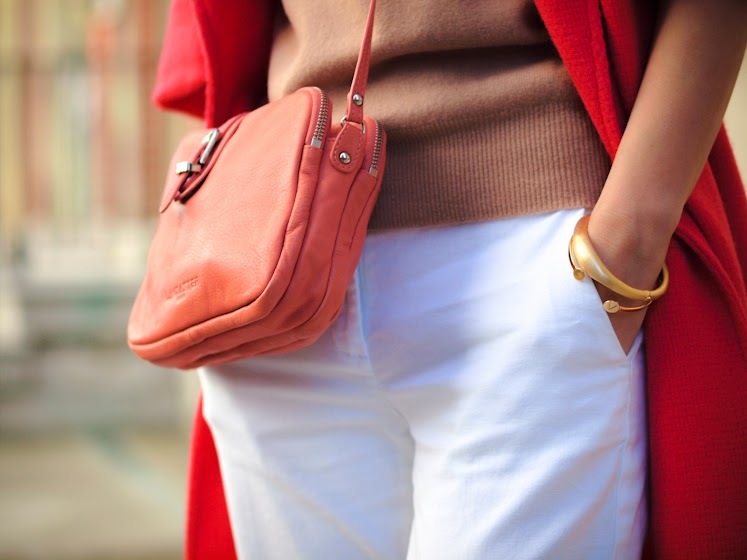 I adore the contrast between the neutrals and the bright red! 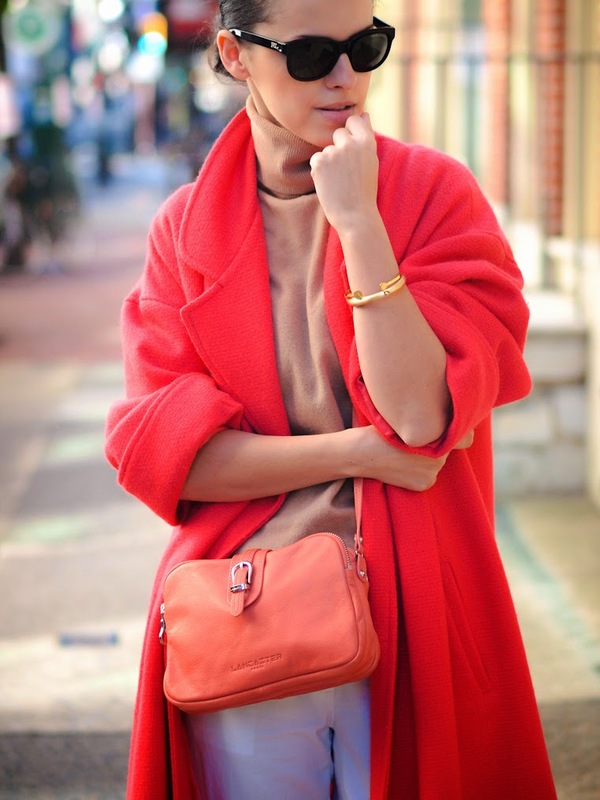 This coat looks so similar to my camel one and mine is vintage as well…gorgeous color! P.s sorry If this shows up twice, I wasn’t sure if the one before saved?! Your use of color always amazes me. 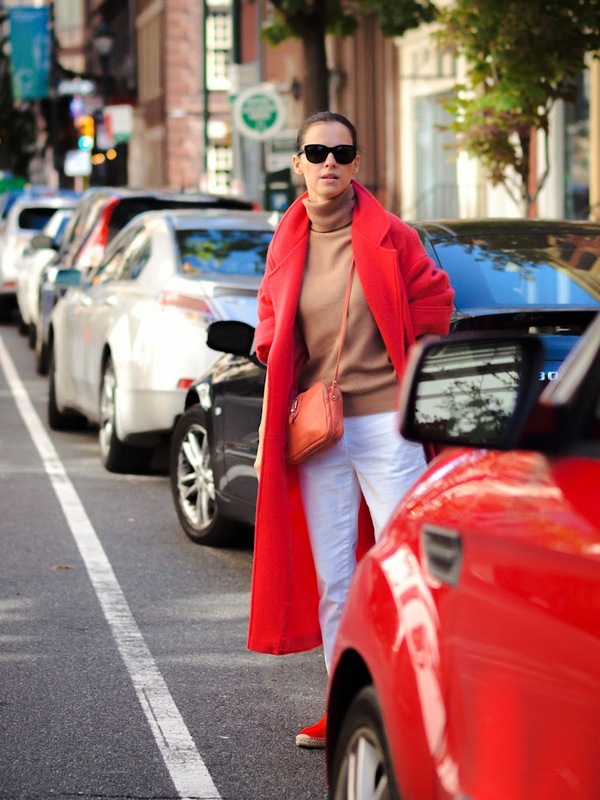 I love that coral/red coat and the neutrals underneath. Awesome! I would be swimming in that coat (vertically challenged) but it looks amazing on you! Alegerea şi îmbinarea culorilor mi se par remarcabile. Ca de obicei, o plăcere! 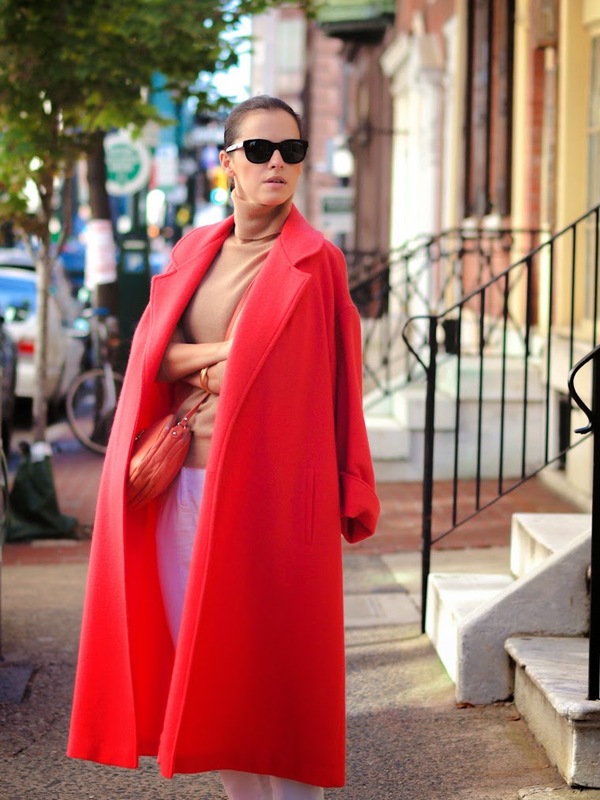 I love the brightly colored coat! You paired those colors perfectly!! The red looks stunning on you!